The Brussels-based label's first compilation, Stilllysm, confirms a commitment to best in organic electronic post-pop music with melancholic tinge. The comp includes music from established artists such as Mitchell Akiyama, Aoki Takamasa, aMute, Ghislain Poirier, Peter Principle, Off The Sky, Benjamin Lew... as well as newer names, including the post-jazz duo Tangtype, the sonic destructured post-rock of Mikale De Graff, the extremely talanted and catchy Holiday for Strings (who will soon release their official debut album as a co-production between Stilll and Intr-Version) and many other excellent surprises such as Immune and Nox, both future releases from Stilll. Sometimes melodic and dynamic, other times vast, contemplative and ambient, Stilllysm is a cohesive and powerful record that will listeners in anticipation of the great things to come from this new label. We only do paypal, the price for a CD is 12€ including post worldwide. 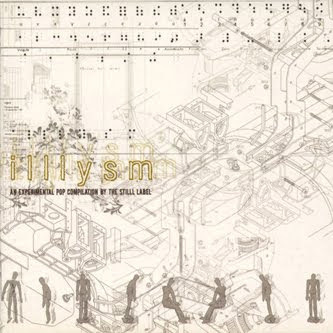 If you buy three records at the same time you get a free Stilll compilation Stilllysm released back in 2005. It is simpliest and saffest way to place an order. Don't forget to mention the reference of the cd's you want and your physical address. Solo project from the music composer Jerome Deuson based in Belgium. We do accept demos. Please send us a mail with a link to your music. No cd's are required. We'll try to take the time to answer you asap.